A return to oil production cuts by Opec and its allies next year cannot be ruled out, said two sources on Wednesday, to avert a possible supply glut that could weigh on prices. The sources were responding to a report by Russia's TASS news agency that Russia and Saudi Arabia had started bilateral discussions over possible curbs to output in 2019. Asked whether discussions pointed to a return to supply cuts in 2019, one of the two sources, who are delegates from the Organization of the Petroleum Exporting Countries, said: "Certainly not the other way around." Oil prices have come under downward pressure from rising supplies, even though Iranian exports are expected to fall because of new U.S. sanctions. Forecasts of a 2019 supply surplus and slowing demand have also dented the market. Brent crude LCOc1 had dropped from a four-year high in October above $86 a barrel to $71 on Tuesday. Prices rallied back above $73 on Wednesday, supported by the TASS report. Separately, a top OPEC official from Iran, which has been angered by higher production in Saudi Arabia and Russia in response to Trump's calls, said Riyadh and Moscow needed to cut output by 1 million barrels per day. "There is no other way for Saudi Arabia and Russia," Hossein Kazempour Ardebili, who represents Iran on OPEC's board of governors, told Reuters when asked whether producers needed to trim output in 2019. The extra supply has caused a drop in crude prices, hurting income for other oil producers while helping Iran's foe Trump in the U.S. midterm elections, Kazempour said. "They pushed the prices $15 a barrel lower in one month and only made U.S. gasoline cheaper for Trump. They lost billions on revenue and caused losses to poor producers in Africa and South America," he said. 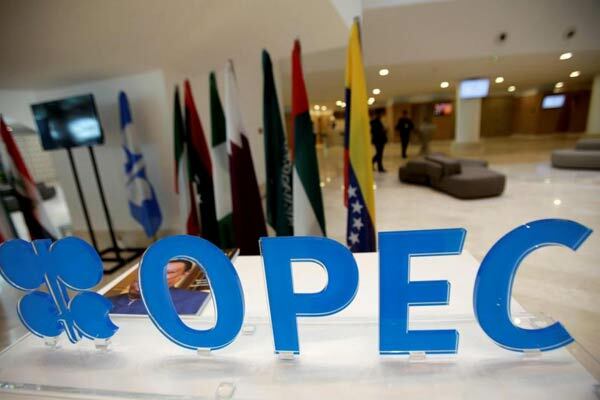 A ministerial committee of some OPEC members and allies meets on Sunday in Abu Dhabi to discuss the market and outlook for 2019. Iran is not a member of this committee, which it wants scrapped. This group, called the JMMC, could make a recommendation on 2019 output policy to the next decision-making meeting of Opec and non-Opec oil ministers, a third Opec source said. That meeting takes place on Dec. 6-7 in Vienna.